You can personalise this Stainless Steel Rubber Bracelet with a name up to 12 characters. All personalisation is case sensitive and will appear as entered so if capitals are needed please use UPPERCASE. This item comes in a black presentation box. 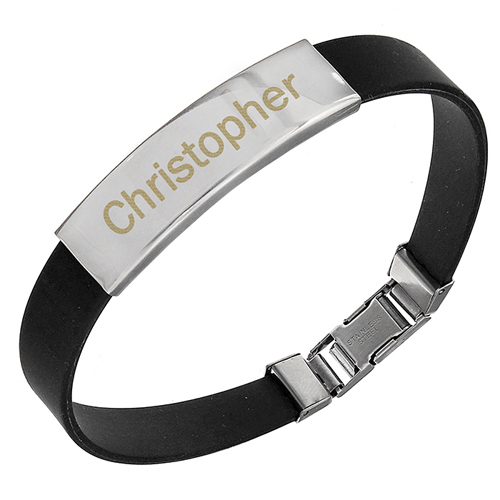 You can personalise this Stainless Steel Rubber Bracelet with a name up to 12 characters.